In this paper, we introduce a new grammar guided genetic programming system called tree-adjoining grammar guided genetic programming (TAG3P+), where tree-adjoining grammars (TAGs) are used as means to set language bias for genetic programming. We show that the capability of TAGs in handling context-sensitive information and categories can be useful to set a language bias that cannot be specified in grammar guided genetic programming. Moreover, we bias the genetic operators to preserve the language bias during the evolutionary process. 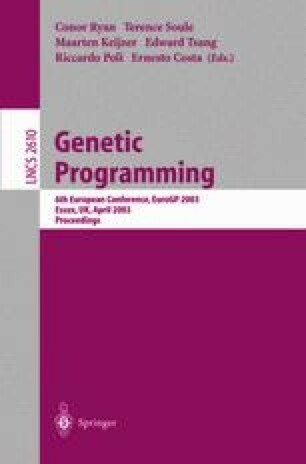 The results pace the way towards a better understanding of the importance of bias in genetic programming.